The polluted Kishon River will soon be the object of a major cleaning and purification project, as a $100 million company searches it for diamonds. The Kishon River, considered the most polluted river in Israel, will soon be the object of a major cleaning and purification project. The initiative is a joint project of the Ministry of the Environment, the Kishon River Authority, and factories and chemical plants on the river’s banks. At the same time, the Shefa Yamim company continues to seek diamonds under the Kishon riverbed, based on advice from the late Lubavitcher Rebbe. The company, which has already found diamonds and associated minerals in the vicinity, plans a stock issue of $100 million in the coming months. 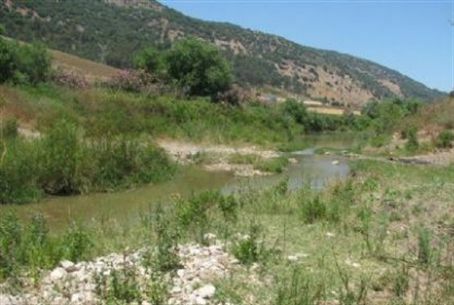 The Kishon River’s pollution stems in part from daily contamination for over 40 years by runoff of mercury and other metals from nearby chemical plants. It has been claimed that there are more chemicals than water in the Kishon. The river runs 70 kilometers from Jenin in Samaria, via the Jezreel Valley and Zevulun Valley, and into the Mediterranean Sea near Haifa. The plan is to remove the polluted earth on the river’s banks, dry up part of the river and divert other parts, and to improve the biological diversity. The project is expected to cost more than 200 million shekels, 60% of which will be paid for by the factories. Previous clean-up programs in the Kishon have yielded positive results.